Here’s a photo of the fake lighthouse at the end of Stanley Road, next to the nursing home. As you can see, the top of it has been removed for whatever reason. This private property is a well-known local landmark and is a popular topic for local photographers. I’ve no idea if it has today, but at one point the property had an indoor swimming pool. The building was constructed in about 1992 but never quite finished and was empty for a long time. Back in 2006 there was an unfounded rumour that Coca Cola had paid to use the lighthouse for advertising purposes during the Open Golf championships. The model boating lake is being used and there is now an active Hoylake Model Boat Club (if you have contact details, do let me know). I’ve been passed a few times this week at different times of the day and people have been using the lake. Work continues on Parade Gardens and today the painters have made a start on the boundary wall. Painting the railings continues …I spotted five men working on one section yesterday. The gardener has been tidying the edges of the grassed areas too. Kingsmead School pupils are regular visitors to the Parade Gardens at the moment – they seem to having PE lessons. Has Kingsmead always made use of the Gardens? The film crew were back at The 3 Sisters grocers again last week for Mary Queen of Shops. On a related note, on my run this morning I ran along Market Street at about 10.30 and unfortunately it was really quiet. Let’s hope good ideas come to fruition as a result of the recent shops debate. There was an area forum meeting last night at Melrose Hall with representatives from the Council. If you attended was there anything of interest? Feel free to comment below. 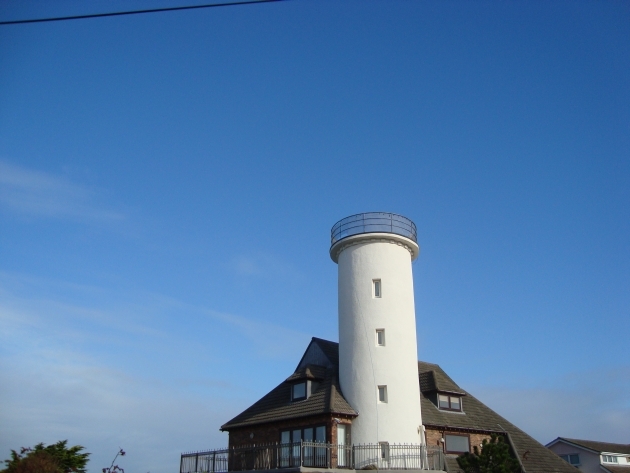 The fake lighthouse looks so much smarter without a uPVC conservatory perched on the top, hope it stays that way! 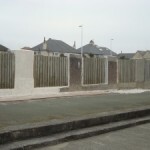 Amazing, in fact astonishing, to see some remedial work on the long neglected Meols Parade Gardens altho, given the location, not sure painting the wall is a good idea unless it is done on an almost annual basis! I always thought Kingsmead had acres of playing fields but good if schools actually make use of these gardens too. What on earth has prompted such activity by Wirral Council? Must be the influence of Hoylake & Meols in Bloom! According to my son they go running there (Kingsmead pupils) He said its more fun than just running round the field, and then they play football. So now we know! As to the conservatory bit, I always wanted to be able to sit up there in the shelter and watch the world go by, or rather not go by! Just looking at my photo …managed to get a telephone line across the top and it looks a bit wonky too! Presumably, they’ll need to put something back on top to protect the inside from the weather. @Peter, yes, I wondered that about the paint too. @Babs, yeah I’ve seen them running around the outside and playing footy. Teachers don’t seem to do much running though ! Thought they might have been using the tennis courts, remember the lovely grass courts in Queens Park? I still would love to see photos of the sandhills and the air-raid shelters before they built Queens park.